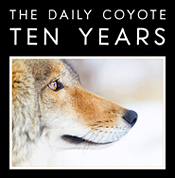 The Daily Coyote » Blog Archive » Charlie Is Twelve!!! 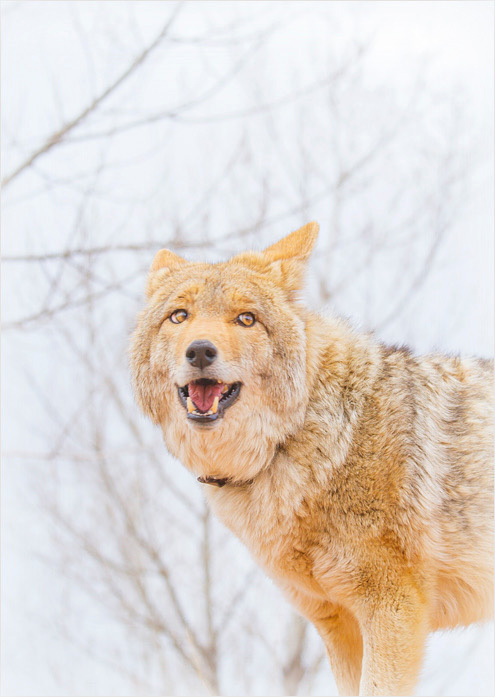 Congratulations and many happy returns to you and your very handsome & photogenic coyote. The love story continues, hopefully for many years to come. It seems like you two bring out the best in each other. Happy birthday Charlie. You’re looking great. Happy Birthday Charlie and Shreve!! Happiest Birthday to you, Shreve and Chuck! It’s been such a pleasure over the years to share your life together. May you share many more years together, and with the rest of us! i’ve been following you for 12 years and feel a part of your life from afar. happy happy birthday shreve and charlie. happy birthday Charlie and Shreve!!!! HAPPY BIRTHDAY, Shreve & Charlie. May you both have the greatest birthdays ever and many more to come. Thanks, Shreve, for sharing your life and Charlie’s with us. 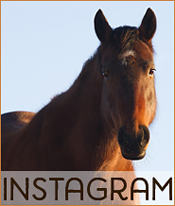 He is one gorgeous fella, and has the BEST photographer ever. Happy Happy Birthday Charlie & Shreve! Nothing makes me happier than receiving these photos! I have been following you since the beginning, and every single photo makes me smile. Wishing you both the very best of days!! So glad you two found each other. You both have made the world a better place. Thank you! Happy Birthday Charlie! It’s been such a joy following you all these years. Shreve, thanks for sharing him with us. Wishing you both a wonderful day and an enjoyable dinner together:) Charlie may be your best birthday gift, but you’ve made him, his story and yours a wonderful gift to all of us. Thank you and wishing you many more wonderful years together. Happy Birthday, Charlie. I’d just love to give you a big New York hug. I have been following Charlie almost that whole time! May you both have the happiest of birthdays! Happy Birthday Shreve and Charlie, my very best wishes to you both! Happiest of birthdays to Shreve and Charlie! 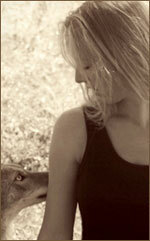 I’m not sure how it happened that more than 11 years ago, I stumbled onto a blog about an amazing woman who befriended a beautiful coyote pup, but I am so glad I did. Love getting my weekly photos of Charlie and reading about all of your adventures. Thank you! Happy Birthday Charlie. I hope you have many more. You make me smile every Tuesday and every time I see your picture!!! Happy belated Birthday wishes,Charlie! You are a very good boy, indeed, and we all owe you and Steve a lot for the enlightenment and entertainment you’ve brought us!